We differentiate ourselves through the use of technology. We utilize laser measuring tools and flooring software which result in better seam layout, less waste and more accurate estimates and invoices. We also provide technology for our customers based on customer feedback. Our customers can access invoices online within 48-72 hours. For those that wish to go paperless, they may review, approve and forward invoices online. Property personnel can use our online settlement calculator for SODA closeouts, access our budgeting tools to track all expenses and create owner reports for fee-managed properties. Our parent company, Redi Carpet, has been in the industry since 1981 and currently serves multi-family customers coast to coast. 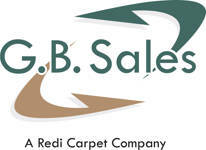 Redi Carpet’s national presence extends to 28 cities in 20 states and the District of Columbia.